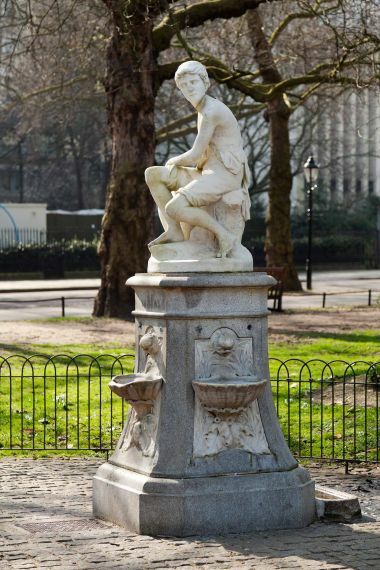 Designed by Charles Henry Mabey and carved by Robert Jackson in 1863, this Grade II sculpture, entitled the Boy Statue, is a marble figure of a boy, set on a plinth. Originally a drinking fountain, the water came from the mouths of four fish which collected in shell-shaped basins. 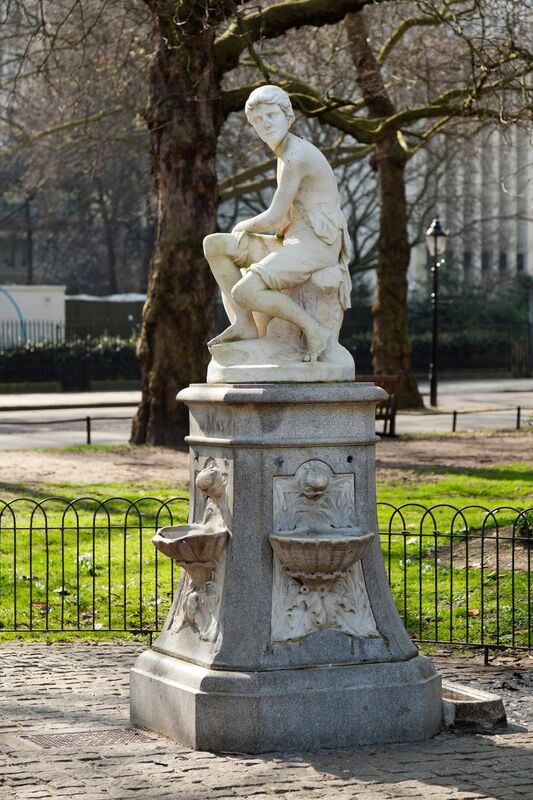 The Boy Statue can be found opposite Queen Anne's Gate on Birdcage Walk.